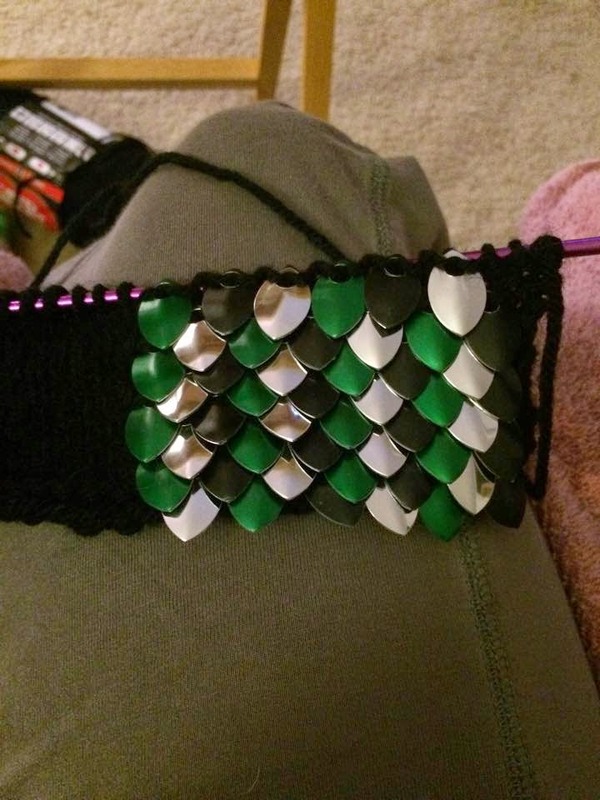 Working on a new pair of dragon scale gloves. I'm still in debate whether or not to make them short or long. I really love this combination of colors, really makes the green pop.